My first post. Random idea, the recent volcano event in Hawaii had me thinking about EU stuff as I usually am. I noted that when watching footage of lava spewing out and following a parabola as any gravity subject projectile would, that it seemed to move a lot slower, that is on the way up seemed slower and also on the way down. What I mean is the acceleration seemed less than 9.81 m s-2. At first I thought it must be due to camera zoom and that I was seeing very large chunks of lava flying. But multiple angles were shown and it was not actually filmed from that far away. So I wondered about a possible explanation. 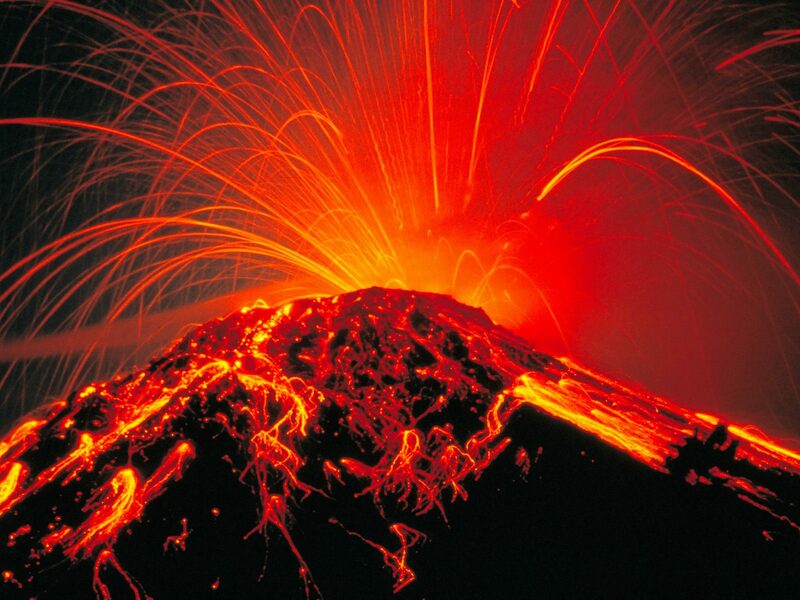 Not sure if this makes sense but could the molten lava be taking some kinetic energy (KE) on the way up and gravitation potential energy (GPE) on the way down to rearrange its crystal domains ("magnetic domains") to conform to the earth’s electric/magnetic field? I'm thinking of course not in terms of KE and GPE but that gravity is electrical somehow and so the cause of the slow movement is that part of the electrical energy is going into the rearrangement of the magnetic domains. Is this plausible? It would mean that if an object of the same mass that did not have any molten crystal domains to rearrange were compared, it would not reach as high as the molten lava as the full use of the gravitational force is going into retarding its motion upward. Another way of looking at it is, the lava to me appeared as if it would on a body other than earth where the gravity is weaker, like the moon. The explanation could be simple hydrodynamic physics, in a word, viscosity. When a solid becomes molten, crystal domains are obliterated as well as magnetic domains, and while the magma is still being thrust upward there is really no chance for reorganization. Its viscidity lends a slow-motion effect to the trajectory. You are right on with the correlation between gravity and electricity, but compared to the thermal and molecular effects involved, any magnetic influence is probably insignificant in that time frame. "Ions/electrons around it" for sure, but as a "plasma" the magma (before being ejected or bleeding out) is more akin to blood plasma, than just some electrolytic mineral soup.